It’s time once again for a massive photography locations post. These are the best photography locations in Namibia. And, this isn’t just going to be a “hey, look at these cool pictures of Namibia” post. This is in depth, descriptive, and hopefully answer some of your questions as to how to get to these places, and the best times to go. If you have any specific questions about photography in Namibia that aren’t answered in the below post, drop a comment below and I can address it and potentially update the post. Moreover, if you have any other locations you think should be added to the list, drop a comment. There’s general consensus among visitors that the best time to visit Namibia is July through October. The logic behind this is pretty sound. For one, it’s cooler. Southern hemisphere summer starts rolling through in November, and it gets very hot in parts of Namibia. On top of that, it’s the dry season from April to November. 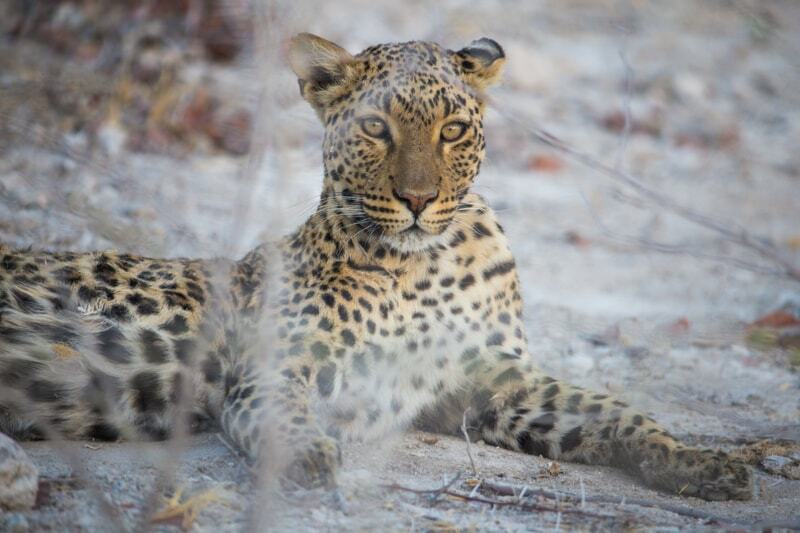 And while you don’t need to worry about rain ruining your trip, it is definitely harder to spot wildlife at Etosha National Park if you visit them in the rainy season. During the dry season, the wildlife is forced to gravitate towards the waterholes which are artificially pumped. So, natural water starts drying up across the park around June and the park stays dry until early November. Personally, I think September and October are ideal months. July and August can be expensive. September and October are the sweet spot for photographers in Namibia. I don’t want to ramble on too much about gear because I feel like you can make great pictures no matter what you have. That said, having a nice telephoto lens in your camera gear set for Namibia is going to be really valuable. Not only will it help with the wildlife photography, but a lot of the landscapes in Namibia lend well to a long focal length. Personally, I think you’ll want a lens that’s at least 300mm. Ideally, 400mm. 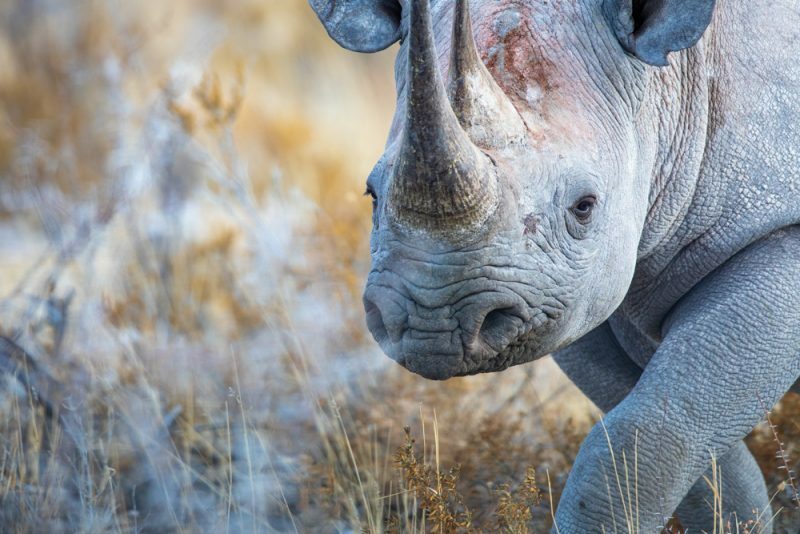 On the most recent trip to Namibia I used both a 100-400mm and rented a 600mm lens from CaptureNamibia.com. That set was perfect. As for filters and such, I think you’ll use them much less than you might think. I used a couple grad ND filters from time to time. I didn’t use a full on ND at all. Be sure to also bring a really sturdy tripod as the winds can get strong and gusty in the desert. Also, if you’re in a safari vehicle, a monopod will come in handy. If you’re in a car or self-driving, bring a bean bag. 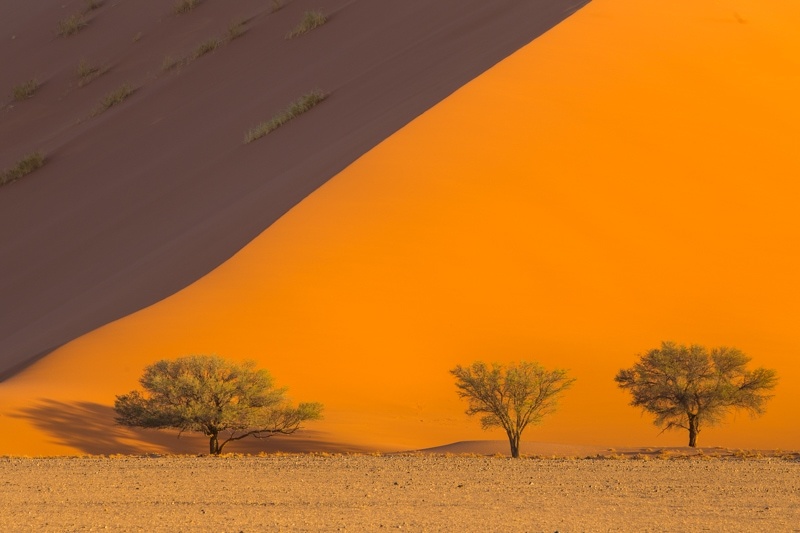 How much time do you need to shoot all the best photography locations in Namibia? Well, I think at least 10 days. Ideally, 2-3 weeks will let you cover it all. That said, if you’re on a tight schedule, you can do the top places in the country: Sossusvlei, and Etosha in less than a week. OK, let’s get into the locations. I should mention before getting into them, though, that this list is going to constantly grow. I’ve been to Namibia 3 times now over 5 years. But, I still haven’t been everywhere. I’ll be adding to this list after future trips, and I’m more than welcome to hearing others in the comments who might have other great photo spots. I’m going to list these places based on popularity. Let me be clear about something. The place that everyone refers to as Sossusvlei isn’t actually Sossusvlei. It’s Namib-Naukluft National Park which is a MASSIVE park stretching about 500km long and 150 wide. Sossusvlei is the name of a salt pan inside the park. That being said, Sossusvlei is how everyone refers to the whole region now. So, for simplicity, we’ll continue to use that. The town where you’ll need to base is called Sesriem. 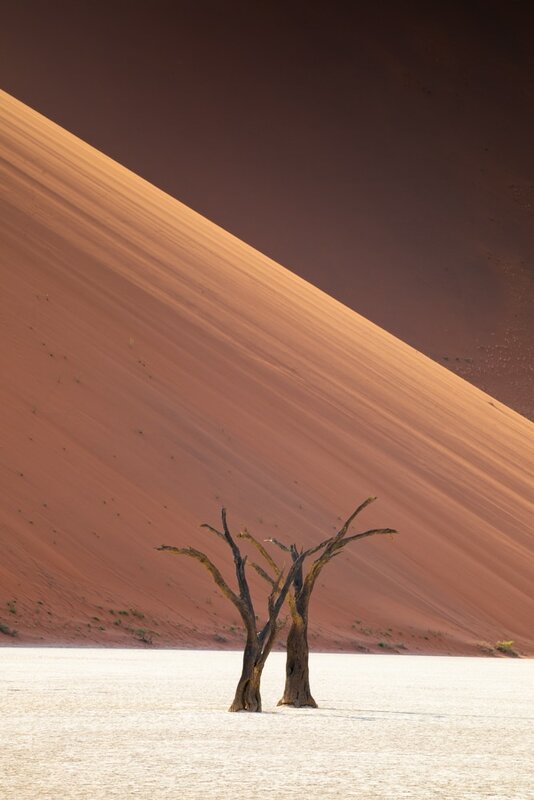 My favourite dune in Sossusvlei. Here’s the big thing about Sossusvlei: you NEED to stay within the gates at an NWR property to be in the park for sunrise or sunset. As a photographer that’s very key. The way the park works is silly. There’s 2 gates. One of the gates is in the town of Sesriem. It opens at sunrise and closes at sunset. The second gate is only about 500m away just up the road. That gate opens over an hour before sunrise and closes over an hour after sunset. So, the only way through the second gate is by staying over night inside the first gate. Inside the gate, there are two properties. There’s Sesriem Campsite, which is pretty bare but does have a building with a restaurant and a swimming pool. The campsite these days is busy as well. The “secret” about needing to stay in between the gates isn’t anymore, and it’s not just photographers that want to be in the park for sunrise and sunset anymore either. Note that the campsite does often book up 6 months in advance, so book early. You can, apparently, book online now. The other option inside the gate is Sossus Dune Lodge which is set beautifully on a hillside looking out at the dunes. This lodge is quite nice, but it does often book up 2 years in advance. If you don’t need to stay inside the gates, there are lots of options outside. Sossusvlei Lodge is one of the best lodges in Namibia (it does book up years in advance too), Dune Lodge is awesome, and there are a couple campsites. 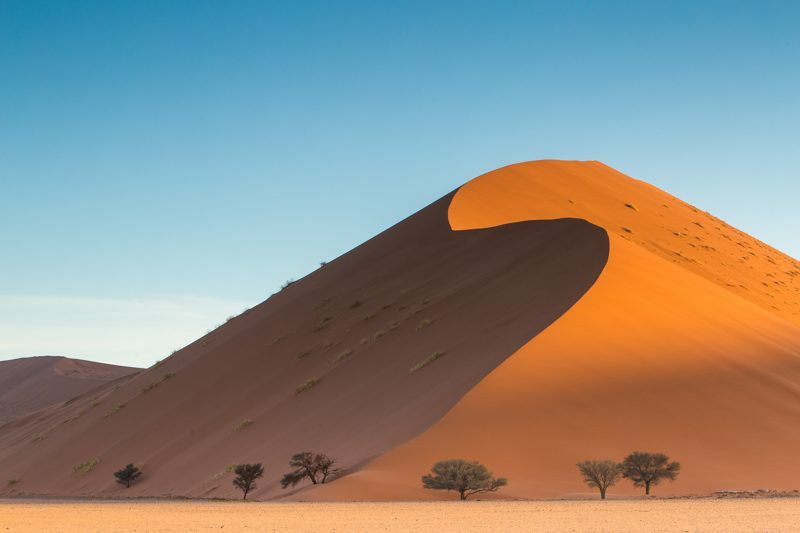 This is the classic Sossusvlei sand dune. But, it’s become harder and harder to photograph over the years. For one, so many people are climbing it now, that there are tracks all over its ridge. But, the biggest issue is that the car park has been expanded and it’s right in front of the dune and the vehicles can get in the shots. To get here, you’ll drive about 45km from the park gates. All the dunes are numbered along the side of the road, so you’ll know when you’re getting close. 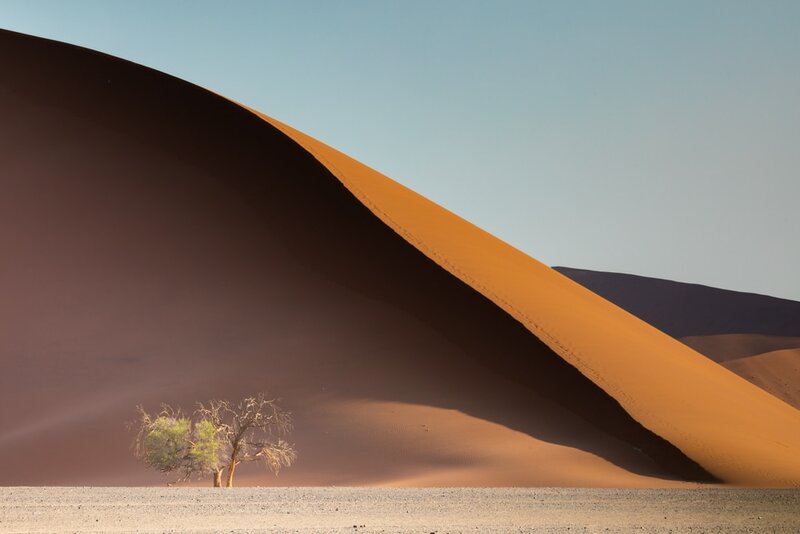 For me, this is the most photogenic dune in the Sossusvlei area. It has beautiful curves, and there a couple nice green trees at its base. Most photographers come here and simply park along the road and photograph it with a long lens at 400mm or so. Like dune 45, this dune is about 40km from the gates. 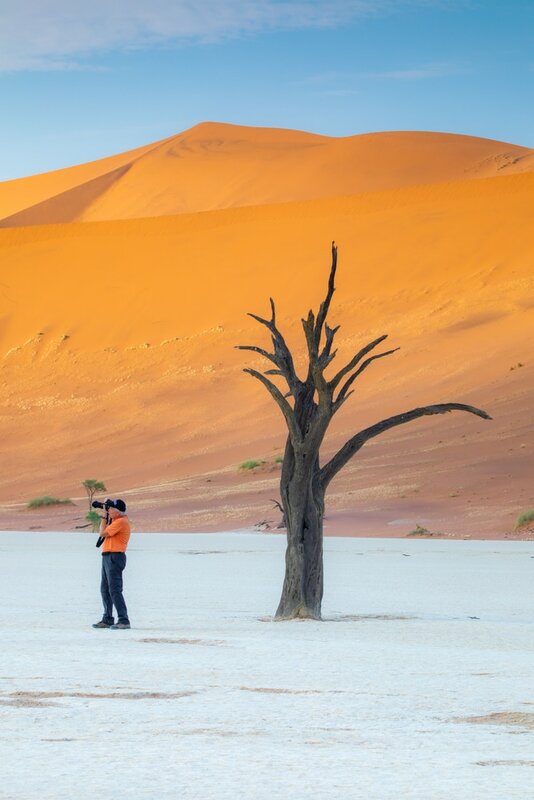 This is THE photo spot in Sossusvlei. The dead trees on this salt flat surrounded by dunes make it an absolute gold mine for photographers. But, don’t be surprised if you find it harder to photograph than you expect. There’s just so much going on that it’s almost a bit overwhelming. I think that you’ll be best served taking pictures here with a telephoto zoom lens like the 70-200mm or the 100-400mm. Getting here is a bit of a pain too; especially if you don’t have a 4×4. 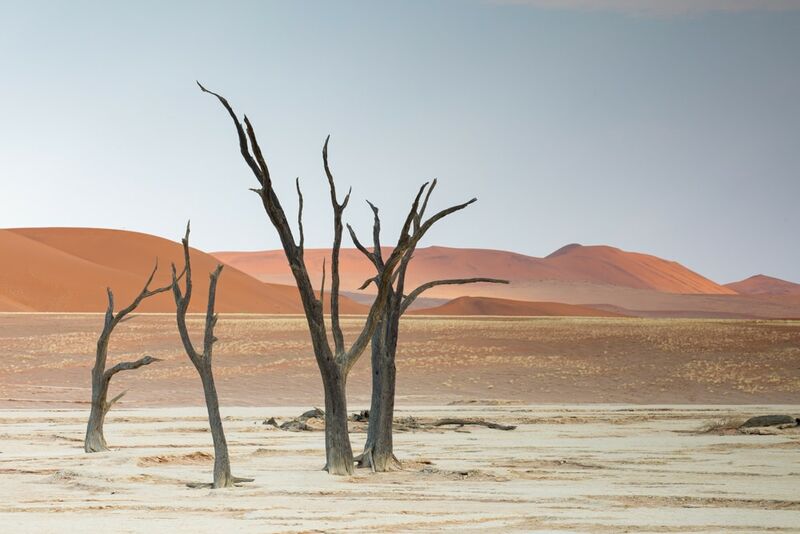 To get to Deadvlei you’ll need to drive the 80km from the gates to the end of the road. There, if you have a 4×4 you’ll need to drive another 10-15 minutes on a sand road to get to the deadvlei parking lot. From the parking lot, it’s a 1.1km hike into the desert to get to Deadvlei. If you don’t have a 4×4, you have 2 options. You can walk from the end of the road parking area to Deadvlei which is about 3-4km. If you do this BRING WATER! Or, the NWR has 4x4s that transport people from the end of the road to the Deadvlei parking lot. But, they only operate from sunrise to 3-4pm. There is a fee for the drive with NWR. You may be able to hitchhike with a 4×4 along the road too. Lots of the private 4x4s have a spare seat for you to hop in for the last leg. I’ve done it before, it’s quite easy. Sesriem Canyon is hard to photograph. It’s a small slot canyon that kind of lacks a lot of colour. So, as a photographer, you can struggle a little bit here. But, if you wait until just after sunrise when the light started to seep into the canyon, it can be awesome. Sesriem Canyon is only about 2-3km from the gate entrance off to the south. There’s a parking on the edge, and then its just a 5 minute walk to the bottom of the canyon. 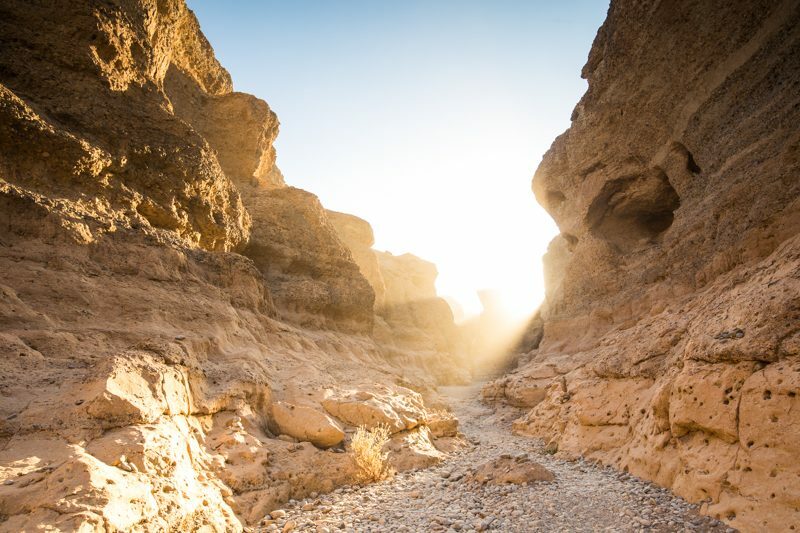 Stunning morning light in Sesriem. 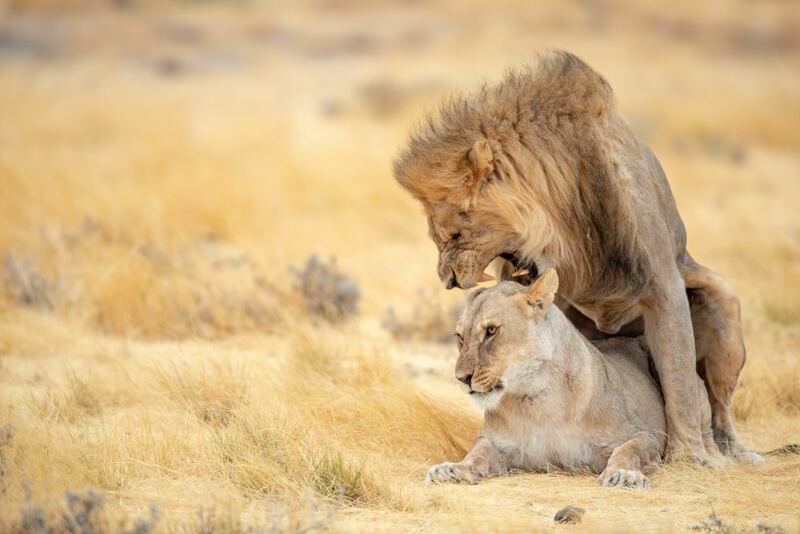 If you’re looking for wildlife in Namibia, this is the place to go. It’s the best national park in the country, and it’s absolutely massive. Sure, there are some other wildlife parks in the country, but they are all privately owned. Etosha is a national park, and it’s run by the NWR (for better or worse). 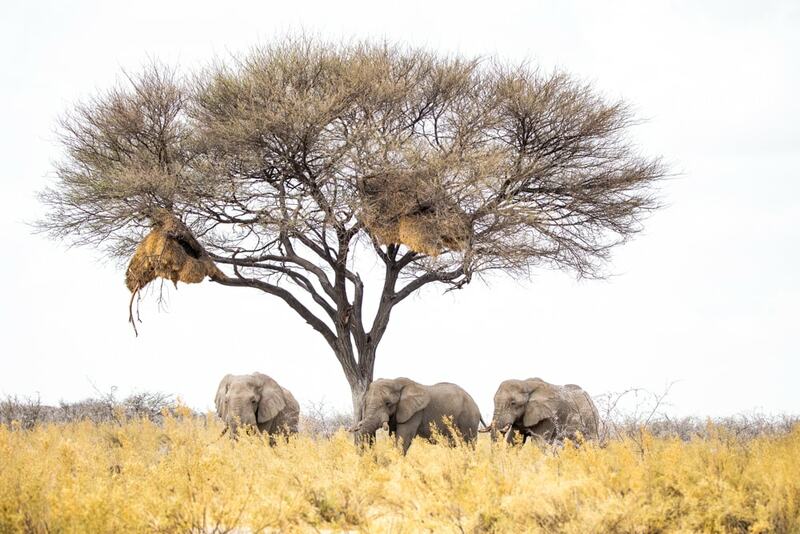 Obviously, Etosha National Park is open year round. However, the ideal time to visit is the dry season. During this time the wildlife will more likely be around the waterholes as they’re forced to come here to find water. The dry season runs from July to mid-November. For me, the best time to visit is September or October. The most popular rest camp is Okaukuejo. But, in my opinion, you’re better off staying over in Halali. Because Okaukuejo is so close to the main gates, it’s the busies camp. That part of the park is also busiest as people staying outside the park can also visit that area pretty easily. Moreover, the area around Halali seems to have more animal activity. Halali isn’t as nice as Okaukuejo, but the incredible night lit waterhole makes it worth a stay. There’s also a lot of rhino, and leopard activity in this area. You can stay outside of the park as well at one of the many lodges, it just means that you wont have access to the park until the gates open at sunrise. The Quiver Tree Forest is like something out of this world. Among the trees, you can easily start to feel like you’ve stepped onto the surface of mars. It’s incredible. 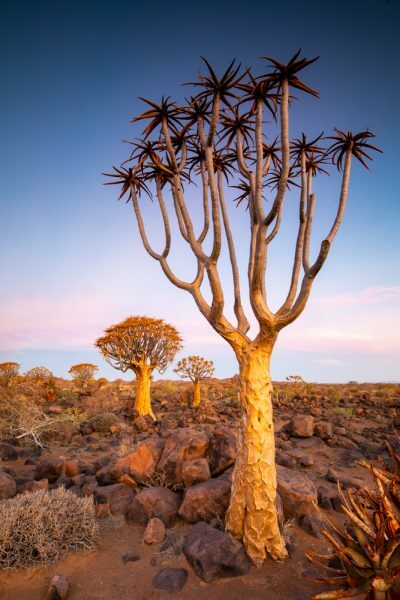 But what you need to know is that this particular Quiver Tree Forest – near Keetsmanshoop – is privately owned by Quiver Tree Forest Rest Camp. Thus, they control the fee. 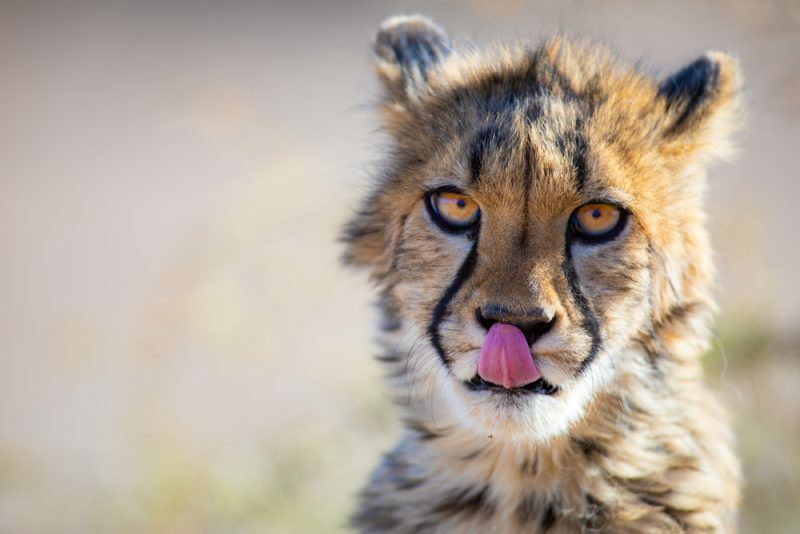 They charge entrance fees, night photography fees, and have rescue cheetahs, so you can pay for a cheetah walk. There’s both camping and a lodge at the rest camp. Both are good. The camping is very good, and right in the forest. So, if you’re camping, that’s a great option. You can also stay in nearby Keetsmanshoop where there are a number of hotels and lodges. There’s not a whole lot else going on in Keetsmanshoop, however. Stuck between the dunes and the Atlantic, these two towns are extremely different. 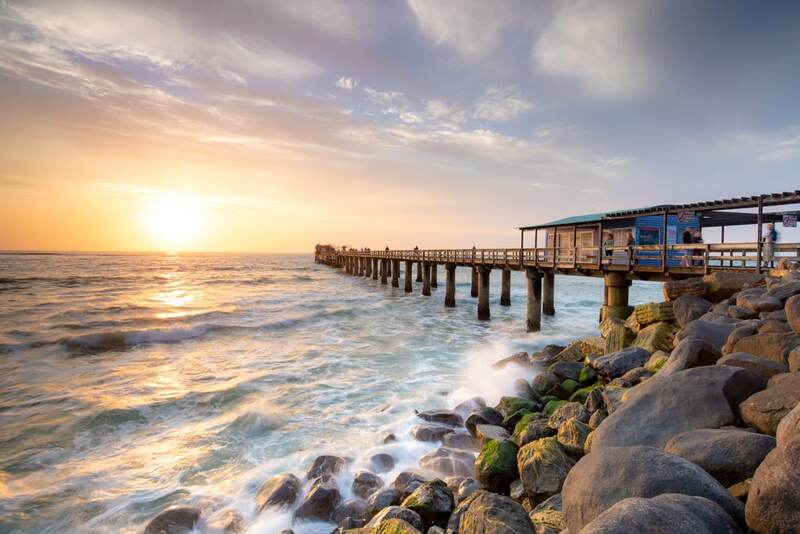 Tourists tend to stick to “quirky” Swakopmund which has a distinctly German feel to it. But, one could easily base in either of the towns. The main attraction here are the dunes. 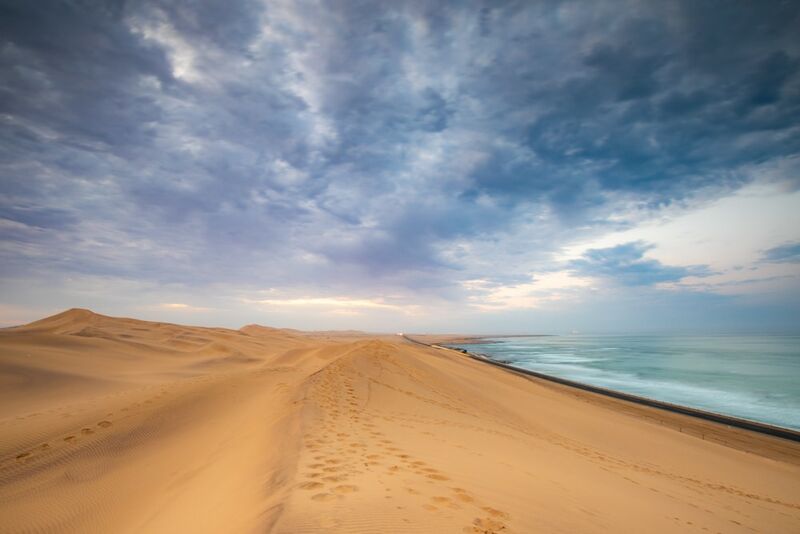 Between Swakopmund and Welvis Bay the dunes line the coast beautifully. And, you have so much freedom to explore here. You can quite literally drive your vehicle to the edge of the dunes and just climb up into them. 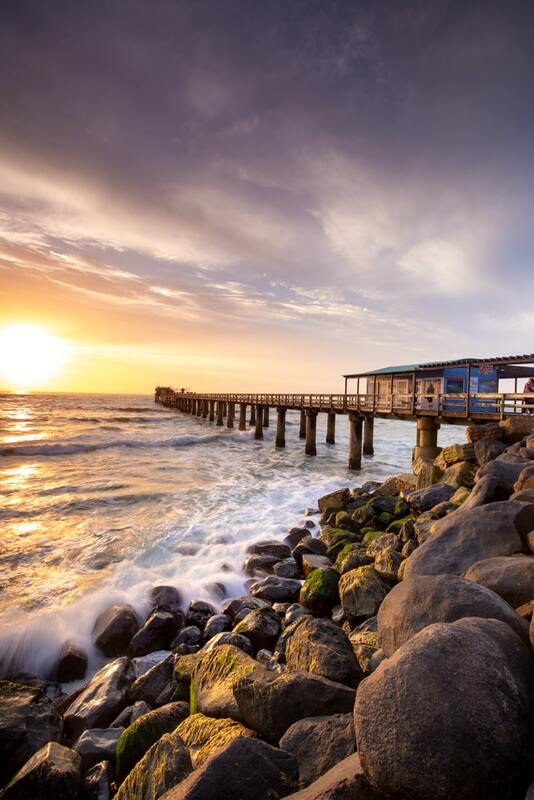 Underrated here in town is also the pier at Swakopmund. If you get good light, it can be spectacular. There are so many hotel options in Swakopmund it’s incredible. My personal favourite is a place called A la Mer Hotel which is situated right next to the pier. There are also a bunch of budget options in town. The biggest hostel in Swakopmund is Swakopmund Backpackers. I was pleasantly surprised by Luderitz and found myself thinking I wish I allocated more time to the area. Luderitz is found along the coast in the south of Namibia just north of lands that were formerly very rich in diamonds. Now, it’s fairly sleepy. In fact, some areas have become ghost towns, which makes it fantastic for photography. 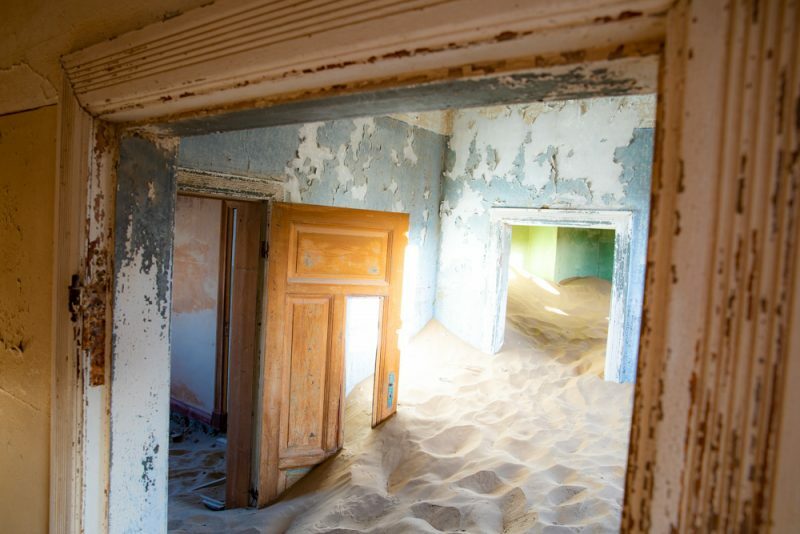 The ghost town of Kolmanskop is just a couple kilometers out of town, and a great photo spot. If you are planning a visit though, as a photographer, be sure to get yourself a photography pass to be in the ghost town during sunrise and sunset. Regular opening hours are only 8am to 1pm. Underrated is the area’s Dias Point and surrounding area. 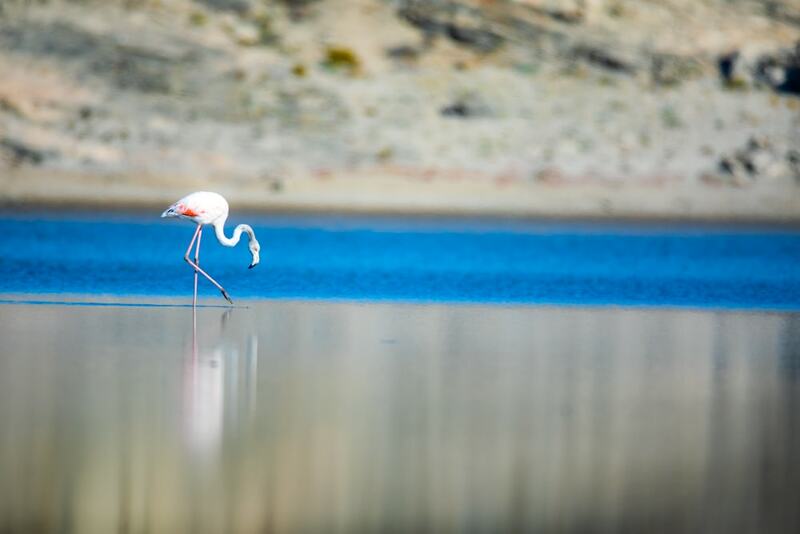 In the Dias Point area there’s the potential to see Brown Hyenas, flamingos, seals, and oryx. There’s also a beautiful lighthouse out at the point and some interesting seascapes. We stayed at Obelix Guesthouse which was good. It’s simple, but good value in a quiet part of town. There’s also Luederitz Backpackers if you’re on a bit of a budget. I think the Caprivi Strip is totally under-rated. But right now, the only people who are spending time on the Caprivi Strip are overlanderers coming across from Zambia. The Caprivi Strip is home to some of the only lush forest in Namibia. It’s home to wild hippos in the rivers, and there’s a lot of elephant activity too. 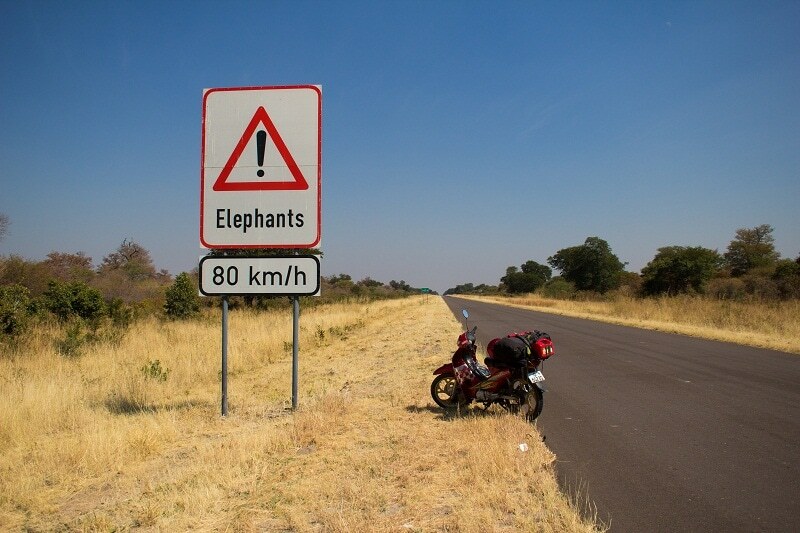 In fact, driving my scooter across the Caprivi Strip back in 2014 I was chased by an elephant. From a photography standpoint, there’s not all that much to photograph aside from the wildlife on the Zambezi River near the border of Botswana and Zambia. There’s also lots of wildlife along the Cubango River. Ngepi Camp. Not only is Ngepi Camp a fun hang out, it’s one of the coolest campsites in the world. There’s a swimming pool carved into the river – where it’s possible to have hippos and crocs around you at any time. At night, the hippos often come up onto the camp to graze. And on a daily basis you can spot elephants across the Cubango River. It’s an incredible place. Ai-Ais is a secret of overland tour groups, and South African tourists. But, I’m letting the secret out: Ai-Ais is awesome. Essentially, Ai-Ais is canyon along a dried out river basin. There are low mountains, and some incredibly clear skies. But, the main draw here are the hot springs. There are actually 2 temperture controlled hot springs at the camp site. There’s a big naturally heated swimming pool outside, and there’s a really cool indoor hot spring as well. The campsite here is great, and there’s a lodge as well. I’ve actually never photographed Ai-Ais properly, which is a shame. But, there are lots of photo subjects here. And, actually, if you have a 4×4 there’s a dried up riverbed that carves through a really narrow slot canyon that looks incredible. 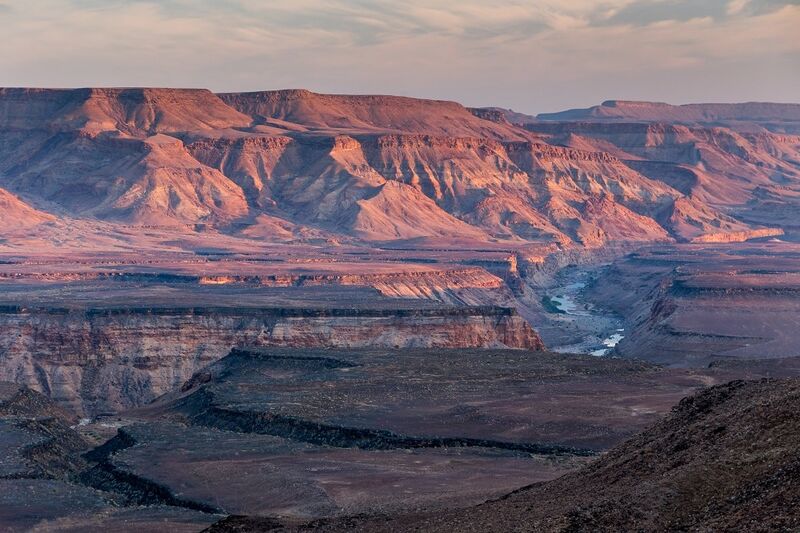 Morevoer, you’re not far from Fish River Canyon which is a marvel in itself. I wanted to, in this guide, also cover a couple places that I haven’t been just because I know that there’s going to be people asking about them. Also, if you have any favourite photography locations in Namibia that you think should be covered, feel free to drop a comment below. I haven’t been to Erindi Game Reserve on the simple basis that it’s expensive. For example, when I ran prices (in the high season) for our photography tour in Namibia each campsite was about $70. The lodges were about $200. And, game drives aren’t exactly free either. Also, I can’t really comment on the “nature” of the wildlife. There are hippos at Erindi, and there’s no hippos naturally in this area, so I’m not sure the story. They also offer “drone safaris” which I can’t imagine is good for the animals. I have heard, however, that most of their wildlife comes from over-populated areas and is legit. But, I can’t really verify anything. This is a place I’d love to explore but I haven’t had the time or the wheels. You really do need a 4×4 to access the best parts of Skeleton Coast National Park. The Skeleton Coast gets its name from the fact that there are shipwrecks that line the coast here. And the wrecks to make for great photo subjects. But, there’s also dunes the blend right into the sea here. And, there’s the chance of seeing wildlife here. There are Brown Hyenas, Oryx, and seals along this coast. I don’t think that the Otjikandero Himba Village is a place you should go. But, I don’t judge people that do go. For me, it’s these places that feel a little bit like a human zoo that I find really unappealing and definitely unethical. Essentially, you’re paying to see and photograph people because they’re different. That just feels off to me. On the other side of things, though, you could argue that paying to visit these people is helping to keep their traditions alive. However, I don’t believe that all too much. Did you find this guide to photography in Namibia helpful? If so, let me know. I am planning on dropping a couple more article like this on places I’ve travelled extensively soon. I’ll have one from South Africa soon. As for life, we’re here in South Africa for another month before heading back to the UK for the holidays. Then, it’s off to Iceland and The Philippines. Lovely guide! I love how detailed it is. 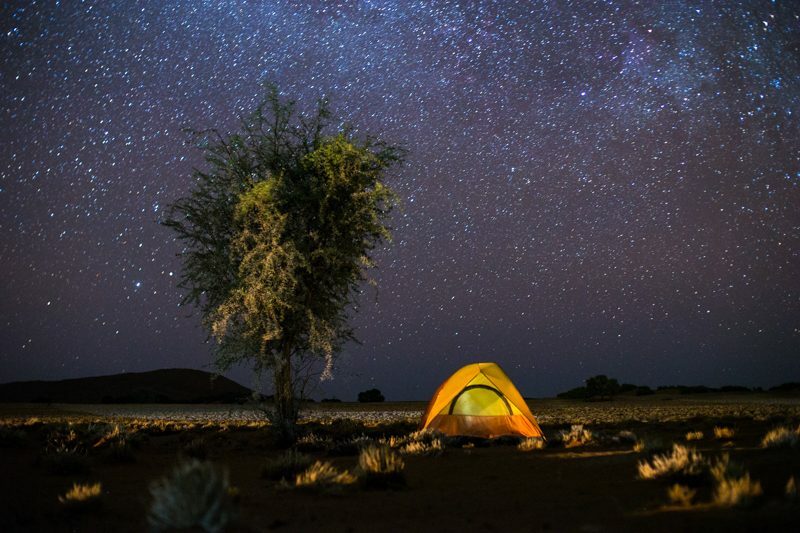 Your photos make me want to book a trip to Namibia. Will be saving this for future trips. This is a very helpful guide as it has photography in mind. Most of these locations I already knew about, but the photography pass for Kolmanskop was good to know. What vehicle did you end up getting there? I’ve been debating whether or not to get a 4X4, but the cost is pretty high on those. I’ve seen the fancy ones that come with camping equipment too. As I’m starting my world trip there, I need to keep expenses as low as possible since it costs quite a bit to get down there in the first place.